Looks like the pound traders are in for another round of tug-o-war! 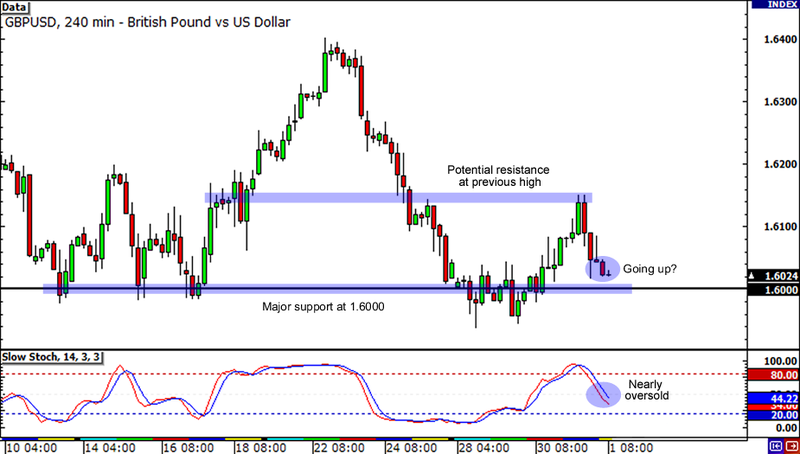 GBP/USD managed to sail away from the 1.6000 major support yesterday, but it encountered a road block around the 1.6150 area and is now speeding towards the major support. Stochastic is nearly oversold though, so you might want to watch for any sign of rally. If you’re one of them pound bulls, you should keep close tabs on the previous resistance level. But if you’re more bearish than the Memphis Grizzlies, then you might want to place your orders below previous lows. Here’s another tossup coming your way! 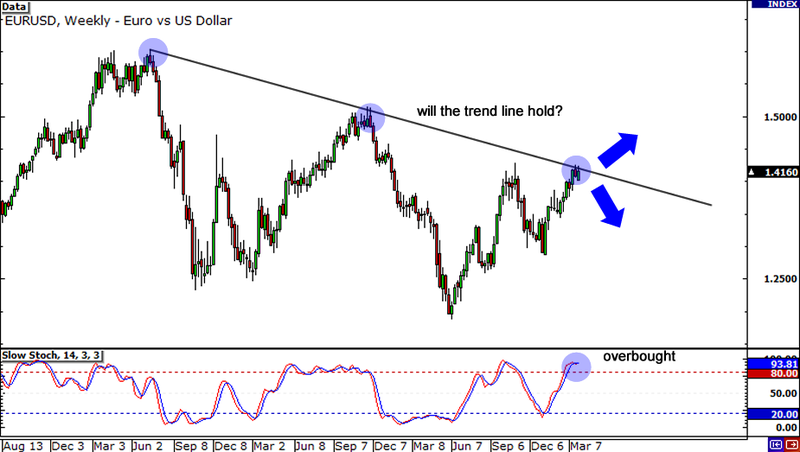 On the 4-hour chart I see that NZD/USD is testing the rising trendline that has been holding for the past couple of days. 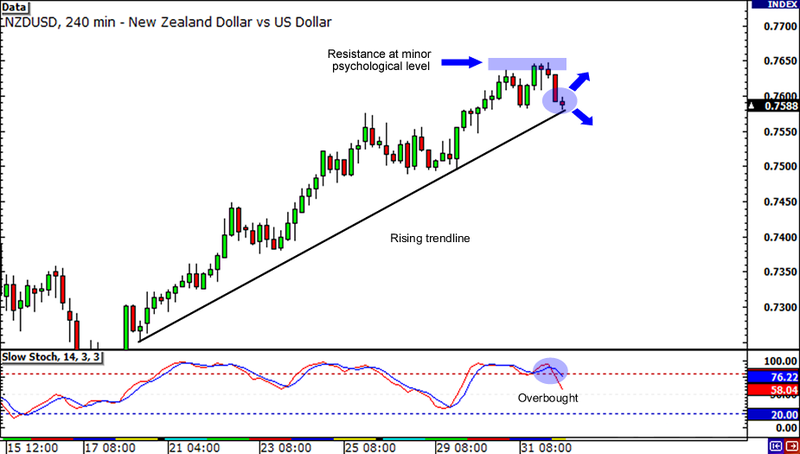 Will the Kiwi bulls muster enough energy to boost the pair past the .7650 resistance? An overbought Stochastic signal is currently on the bears’ side, but if the pair bounces from the trendline once again, then we just might see the pair reach .7800! Lastly, here’s something on EUR/USD to satisfy your pip urges over the weekend. It appears that the pair is hitting a key falling trend line on the weekly chart. Will it break of will it hold? Stochastic is indicating overbought conditions, so we may see sellers jump back in and bring the house down. Keep in mind playaz, this is a WEEKLY chart I’m talking about. If this week’s candles closes significantly above the trend line and recent highs at 1.4180, then the bulls might start poppin’ bottles in the ice like Huck over the weekend!